According to PREMIUM TIMES, on Tuesday, the Independent National Electoral Commission (INEC) announced that supplementary elections in the five states where the gubernatorial elections were declared inconclusive would be held on March 23. In a statement signed by Festus Okoye, INEC’s Commissioner in charge of Media and Publicity, the commission said having considered a report sent by the Resident Electoral Commissioner (REC) for Bauchi State, it has decided to further investigate the cancellation of the result from Tafawa Balewa Local Government of the state. “The Commission found that there are issues that need further investigation and has set up a team led by a National Commissioner to resolve them,” INEC said. The results of the governorship election from Tafawa Balewa was rejected by the state’s Returning Officer, Mohammed Kyari, after collation at the local government collation centre was disrupted by thugs. According to Dominion Anosike, the collation officer for the local government, the thugs snatched the original result sheet ( Form EC 8C 1) meant for the exercise. According to Mrs Anosike, she had collated the results for six of the 11 wards of the local government before the thugs attacked the collation centre and made away with the result sheet. She said she subsequently, with the approval of party agents at the collation centre, used her computer to complete the collation and wrote the election result in another form. Mr Kyari, however refused to accept the result because, according to him, she did not first seek his approval and that of the state’s REC, as stipulated in INEC’s guideline for the election before collating the results in another form. PREMIUM TIMES has learnt that INEC set up an investigative committee led by Mr Okoye and the committee met with stakeholders in the election to communicate the findings and decision of INEC on the cancelled elections in Tafawa Balewa. This newspaper learnt that after reviewing the case, the team resolved that since all other processes in the election and collation were followed except the failure of Ms Anosike to write to the REC and the Returning Officer, the result for Tafawa Balewa would be regenerated .and reinstated. To do this, INEC will rely on duplicate result sheet at every level of collation preceding the local government collation i.e the collation at the polling units, wards, and constituent levels. This is not the first time INEC will resort to this approach in regenerating results in areas where collation was disrupted. In Kano State, after the collation of results in Nasarawa local government was disrupted, an official, Riskuwa Shehu, announced that the collation would be completed using primary and secondary results from polling units and wards. 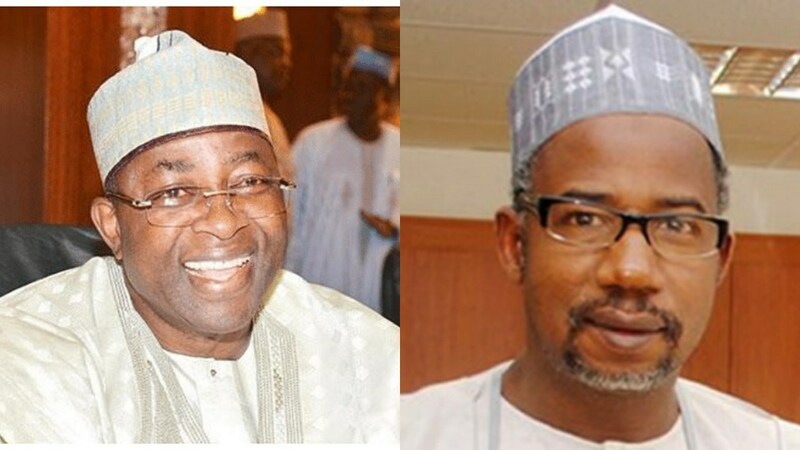 The fact-finding team sent to Bauchi will basically be communicating this decision to stakeholders in the election. Once INEC reinstates the result for Tafawa Balewa PREMIUM TIMES, then it will be mathematically impossible for the All Progressives Congress (APC) and its candidate, Muhammed Abubakar, who is the incumbent governor to win the election. According to the results announced at the Tafawa Balewa collation centre, which was rejected by the returning officer, the PDP also has a healthy lead there. It scored 40,010 votes against the APC’s 29,862 votes. If the result is accepted as PREMIUM TIMES has learnt, it will extend the PDP’s lead in the election to 14,207 votes. Though this still falls short of the 45, 312 votes cancelled in the election but with a turnout rate of 45.4 percent, and the margin of voters scored in the March 9 election by both parties, it is mathematically impossible for the APC to score enough votes in the supplementary election in the state to upstage the PDP. When reached for comment, Rotimi Oyekanmi, the chief press secretary to INEC chairman, asked to know who our sources are. After we told him that we cannot reveal our sources because we had promised to protect their identities, Mr Oyekanmi replied with a terse SMS that read: “It is not true”.